You’ve found Sea Harbour Yacht Club in Oriental in North Carolina, providing skippers and their families a private retreat on a tranquil creek. Many say it is the finest marina facility in the area. By concept and location the Club is insulated from the intrusions of transient docks, charter fleets, yacht sales and repair yards. The marina is exclusively yours for an uncrowded, quiet and relaxed boating lifestyle. The Club is a family playground where adults have more fun than the kids. Do as little or as much as you want. Settle down in the cockpit with a book and nearby bird songs. Relax in a rocking chair on the wrap around deck and enjoy the breeze in the sun or the shade. The lounge has a TV for that important game, a table for working on your project or comfortable chair in a cool corner to avoid the midday sun. In the evening you can discuss the plan for tomorrow’s sail, next week’s cruise or the jump to the islands for the winter with folks who have been there and done that. The kid’s lobby provides a gathering place for the younger set to socialize. The large lawns provide a place for them to work off excess energy at volley ball, badminton, or just running around. Everyone meets at the pool side for a refreshing dip or to share drinks and conversation. All of these amenities are surrounded by areas of marsh and trees which provide a natural retreat in a hectic world. The Club shelters some rare natural companions: Otters swim the creek at dawn, Osprey nest on the markers in Spring, and Pelicans fish year round. Our creek is designated as a “Primary Nursery Area” by the NC Wildlife Resources Commission with breeding stocks of fin fish, shrimp and crab. This designation helps preserve the natural state of the creek, restricting the kind of intensive development which has taken place in some other areas. 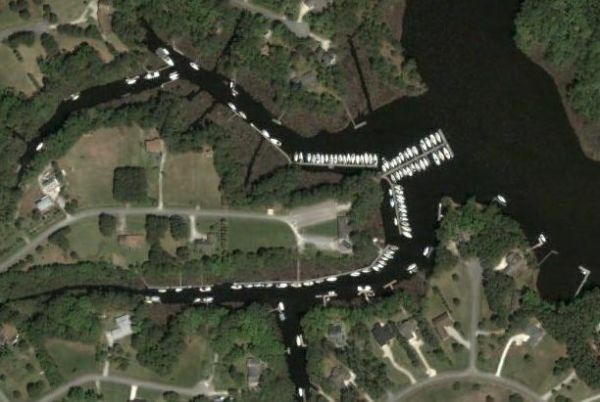 At Sea Harbour, your boat is nestled close to pine forested creek shores protected from wind and wave action, but you’re only a half-mile from the Neuse River. The river is five miles wide at the creek entrance. 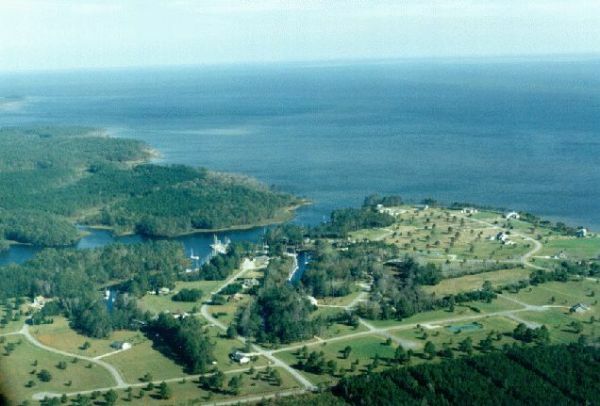 Oriental’s harbor is one and a half miles upstream and Pamlico Sound and several hundred square miles of cruising and fishing waters are just ten miles downstream. When you’re in the area , please stop in and visit Sea Harbour. We’re proud of it and like to show visitors around. If you can’t visit in person, please send an e-mail and we’ll be happy to answer any questions you have and provide more information on the Club. to Sea Harbour Yacht Club in Oriental, NC.